4G Calling (aka 4G Super-Voice or VoLTE) gives you higher-quality phone calls and better indoor phone call coverage. When 4G technology was first launched in the UK, it was designed only to carry mobile data. So whilst you could use a 4G connection to browse the web with super-fast download speeds, you couldn’t make regular mobile phone calls on a 4G connection. Because of this, most 4G mobile phones today will still fall back to either a 2G or 3G connection when you make or receive a call. 4G Calling (also known in the UK as 4G Super-Voice or VoLTE) is a new technology that allows you to make and receive phone calls over a 4G connection. It means your mobile phone is no longer required to fallback to either 2G or 3G every time you need to make or receive a call. This gives you a more reliable phone call experience, along with other benefits such as higher-quality HD Voice phone calls, better indoor coverage with lower-frequency spectrum, and faster download speeds whilst you’re on a call. In this article, we’ll tell you everything you need to know about 4G Calling in the UK. We’ll discuss how the service works and how you’re able to use it on different UK mobile networks. We’ll also discuss the limitations of the technology and possible alternative solutions. 1 What is 4G Calling? 4G Calling (also known in the UK as 4G Super-Voice or VoLTE) is a new technology that allows you to make and receive phone calls whilst connected to a 4G network. It replaces the older CSFB technology, where your phone will fall back to either a 2G or 3G connection whenever you want to make or receive a phone call. More reliable phone calls. Traditionally, 4G mobile networks have made use of CSFB technology (circuit-switched fall-back technology). With CSFB, your mobile phone will switch back to either a 2G or 3G connection when you make a call. This switch-over doesn’t always happen successfully, leading to occasional call failures. With 4G Calling, this switch-over is no longer necessary so phone calls should work more reliably and should come through more quickly. Better indoor coverage with lower-frequency spectrum. The UK mobile networks have been rolling out 4G technology at lower-frequency 800MHz spectrum. Compared to the 3G networks which have traditionally used 2100MHz, this lower-frequency spectrum travels much further indoors. As a result, you should get better quality indoor coverage for your phone calls. Faster download speeds whilst connected to 4G. As your phone no longer needs to fall back to the slower 2G or 3G network whilst you’re making a phone call, you’ll be able to stay on 4G which means you’ll have the fastest download speeds even whilst on a call. Seamless ability to continue Wi-Fi Calling phone calls. If you’re using Wi-Fi Calling functionality, your phone calls will be able to continue on 4G Calling when you leave the range of the wi-fi network. 4G Calling is currently available to customers on BT Mobile, EE, iD Mobile, O2, Three and Vodafone. You’ll need to have a compatible price plan and handset to use with 4G Calling. 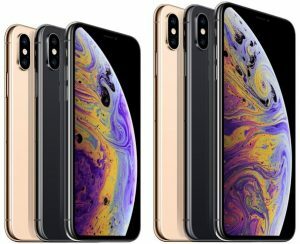 4G Calling works with any iPhone 6, iPhone SE, iPhone 7, iPhone 8, and iPhone X, as long as you have a mobile plan with us. 4G Calling also works with the Samsung Galaxy S9 and S9+, as long as they were bought from us and you have a mobile plan with us too. You can see a full list of compatible handsets and plans on the BT Mobile website. Source: EE Help: How do I use 4G Calling? 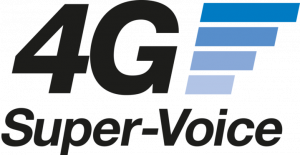 Three refers their 4G Calling service as 4G Super-Voice. 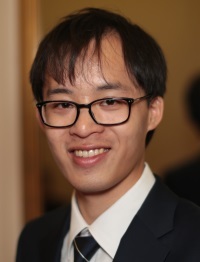 This refers to the fact that their 4G Calling service uses lower-frequency 800MHz spectrum to break indoors (previously used by the broadcast television channels before the digital switchover). With the signal travelling further indoors, you should benefit from wider calling & texting coverage, along with higher-quality phone calls. Vodafone offers 4G Calling to Pay Monthly customers with either a Red, Red Extra, Red Entertainment or Red Value plan. It’s also available to most Vodafone Business customers. All Android devices will need to have been purchased directly from Vodafone to be compatible with 4G Calling. Unfortunately, 4G Calling isn’t yet available on other mobile networks like giffgaff, Plusnet Mobile, Sky Mobile, Tesco Mobile and Virgin Mobile. Once you have a compatible price plan and handset, you’ll also need to switch on the 4G Calling functionality on your smartphone before you can use it. If you’re using an iPhone, you can switch on the 4G Calling feature by going to Settings > Cellular > Cellular Data Options > Enable LTE. 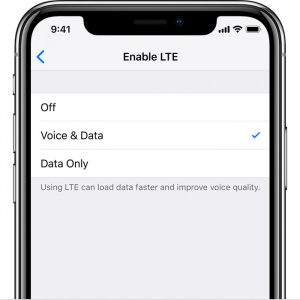 Select the option to use LTE for both ‘Voice & Data’. On Android devices, the exact location of this setting will vary. However, you’ll often be able to find it through Settings > Connections > Mobile networks > 4G calling or Settings > More > Mobile networks > Enable VoLTE. 4G Calling only works when you’re in the UK. 4G Calling only works on a limited number of handsets. At present, handset compatibility for 4G Calling is patchy. This is especially the case if you’re using an Android device, which will normally need to have been purchased directly from your mobile network. This requirement means that 4G Calling often won’t work on unlocked smartphones, and on devices purchased from third-party retailers like the Carphone Warehouse. Network settings may be set up to prefer 3G Calling. Typically, it isn’t possible to “force” your handset to use 4G Calling. In some cases, the network settings may be set up in such a way to prefer 3G over 4G. 4G Calling only works in the UK. If you’re travelling abroad, it won’t typically be possible to use 4G Calling. Using voice-over-IP applications such as WhatsApp and Skype can be an alternative to 4G Calling. You can use these applications to make a phone call whilst you’re connected to 4G but it won’t use your regular phone number or price plan. In cases where you’re doing something like calling abroad, this may sometimes work in your favour as it may be cheaper to use one of these services. For more information about 4G Calling, please see the BT Mobile, EE, iD Mobile, O2, Three and Vodafone websites. We'd love to hear your thoughts and any questions you may have. So far, we've received 6 comments from readers. You can add your own comment here. There’s a lot of information out there and for a non techi person like me it’s all quite confusing so your advise would be appreciated. 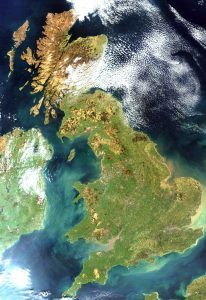 We live in a black spot area which doesn’t appear to receive a signal from any provider. Until now I have been relying on WhatsApp for voice calls but that is unreliable and keeps dropping the call. However Three claims on their website that although we don’t have 4G we can get 4G Super Voice calling – hows that then? How can you have one without the other? That’s confusing from the start. Before I read about Three’s Super Voice calling we were investigating Wi-Fi calling which I believe runs differently to Whats App and would be more reliable? Should I choose Three’s Super Voice (if it really is available to us) over another provider which only offers WiFi calling? We thought it would be better to choose Three as I understand it offers both and therefore would be more of a belt and braces job? Thanks for your comment. You’re right – this is really strange. 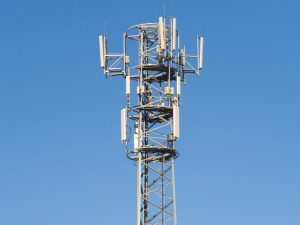 In the technical sense, it’s absolutely true that you can’t have 4G Calling or 4G Super-Voice with no 4G coverage (as it’s the underlying 4G coverage that carries the phone call). In this case, however, I don’t know how Three are advertising the services on their website. I believe they use 800MHz spectrum for 4G Super Voice, as opposed to their usual 1800MHz spectrum for normal 4G. It’s possible they’re saying that you should be able to get the 800MHz 4G service, but not the 1800MHz service. This is probably something I would clarify directly with Three and I would love to find out what they say on this! Hi Ken, I’ve got a Samsung note 9 that I bought from Argos in December. It is running Android Pie. I live in a rural area and signal is patchy. A friend told me I should be able to use 4g calling & WiFi calling with Three or ID mobile even though I didn’t buy my handset from either of them directly. Is this now possible as I remember Three used to insist that your phone ran their firmware to access 4g calling? Thanks for your comment. As a rule of thumb, I definitely wouldn’t rely on this behaviour when using an Android smartphone purchased from somewhere other than the mobile network. You’re right that there’s work being done to enable to this for unlocked handsets, but unfortunately I’m not sure what the latest status of that currently is, and I’m not sure the mobile networks maintain a list for this either (your mileage is likely to vary depending on your handset, mobile network, etc). So, is there 4g calling on O2? I was under the impression that Wi-fi calling and 4g calling are not the same thing. The alternative for me is Three where you clearly state in your article that 4g calling is available via their “4g super voice” system. Before I ditch o2 can you just confirm that they do or do not support 4g calling but that the section in your article mentioning Wi-fi calling should be amended to state 4g calling?